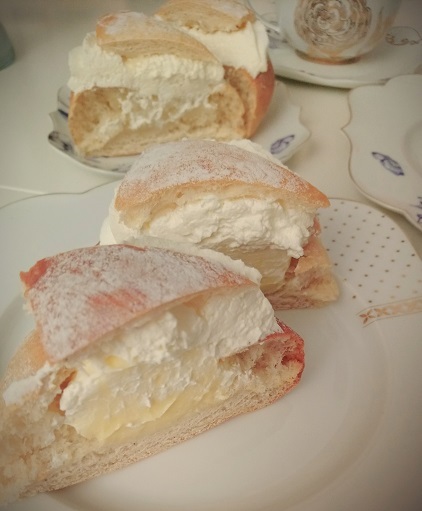 It was recently semla day here in Sweden, so lets talk about semlas! These are one of Phong’s favorite treats. Classically it’s just a bun, gutted, and filled with almond paste and cream. Over the last few years there have been a few twists made each year. 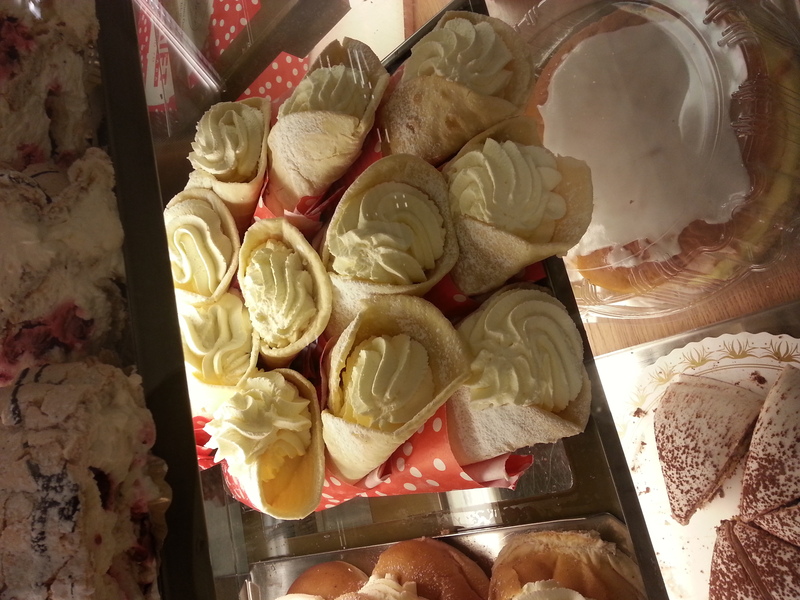 Last year they made semla wraps and this year the bakeries tried a nutella semla and a vanilla semla. We bought the classic, the vanilla, and the nutella to give them all a try. Phong still favors the classic. I actually really liked the nutella one. I’d like a more chocolaty try next year, maybe with some kind of gooey chocolate inside. The vanilla was nice too. 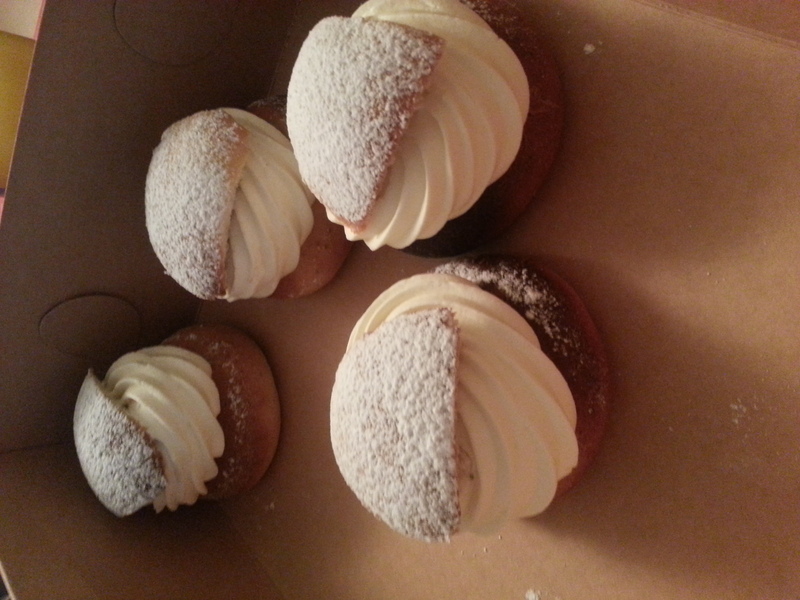 I pretty much like every version of the semla more than the original. 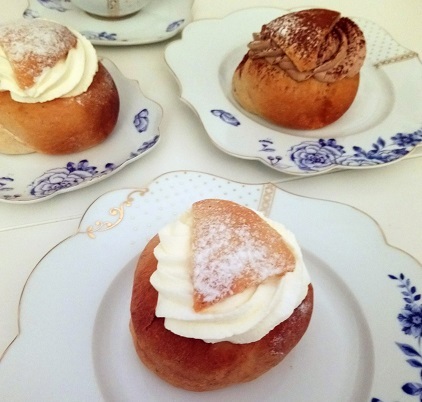 Sweden has Semla Day on the 13th of February. Other times of the year can be really hard to get semlas. Phong often wants them for his birthday in July and I have quite a time trying to find a bakery to make them in the summer. 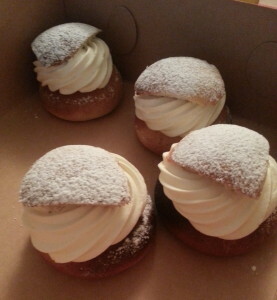 These are a classic though, so if you’re around when they’re in season you should give the semla a try! 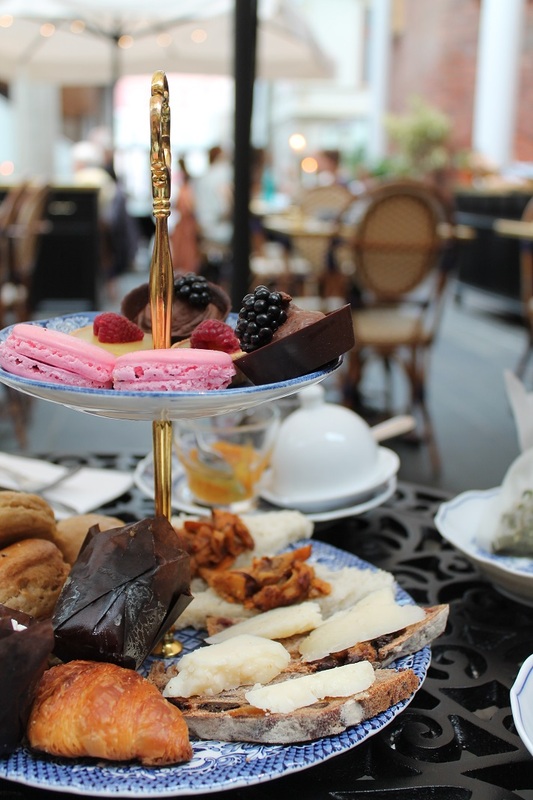 My favorite thing to do is to go to a cafe. I love them. LOVE them. 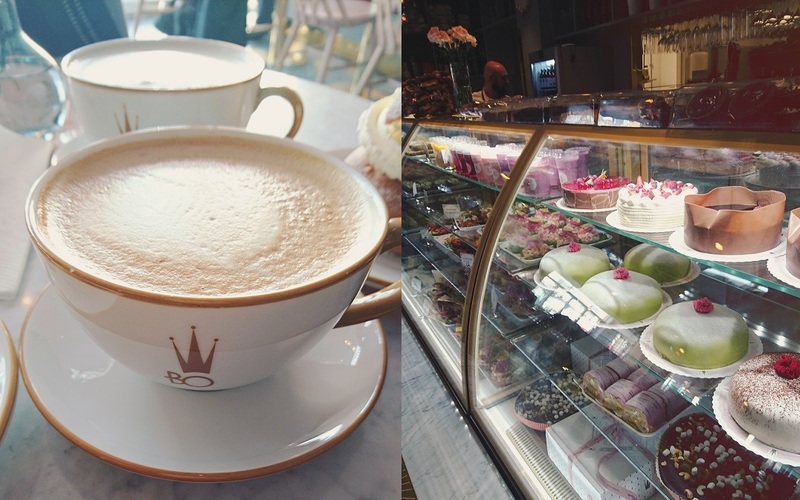 And Sweden has a seemingly endless number of adorable cafes. This one we found in Luleå! It’s adorable and they have their own porcelain set! I want to buy the cup! Next time we’re there I’m going to ask if they sell them. I’m pretty sure they don’t, but that’s how much I want one. 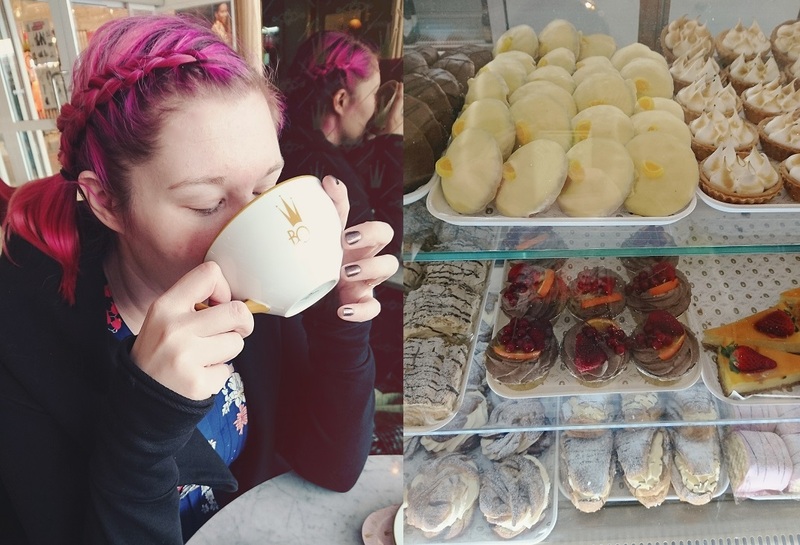 The cafe itself was incredibly cute and welcoming and the staff really nice with a great sellection of treats. 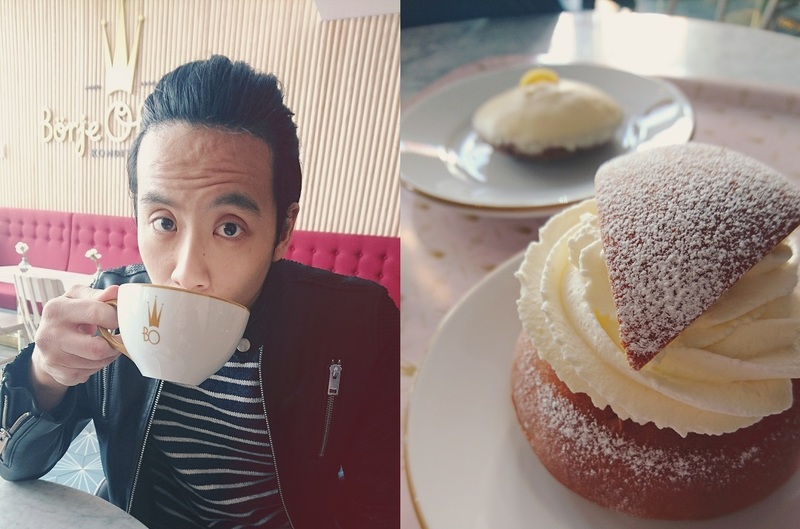 I had a vanilla latte and a lemon biskvi and Phong had a semla and hot soy milk (he doesn’t like coffee). They even foamed his milk! 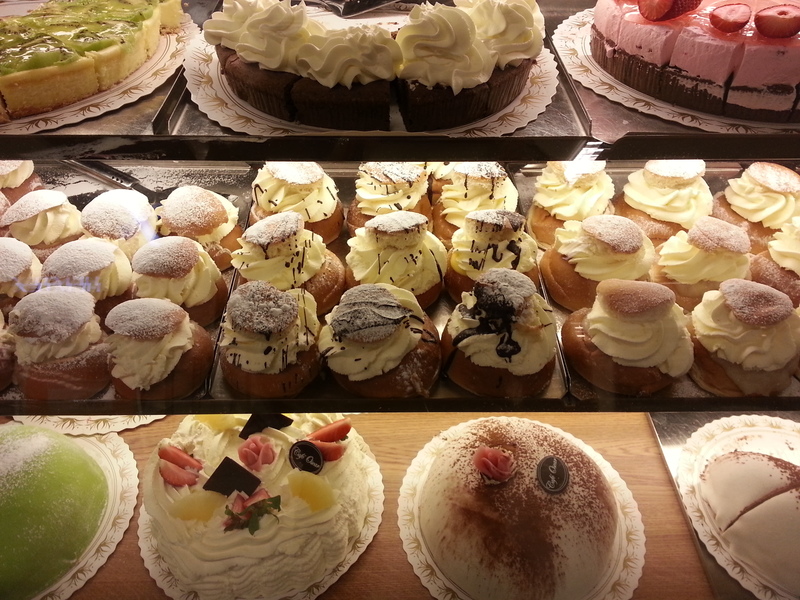 If you find yourself in Luleå, or anywhere near Luleå, find Börje Olssons! It’s worth it! The bun is traditionally a cardamom yeast bun. 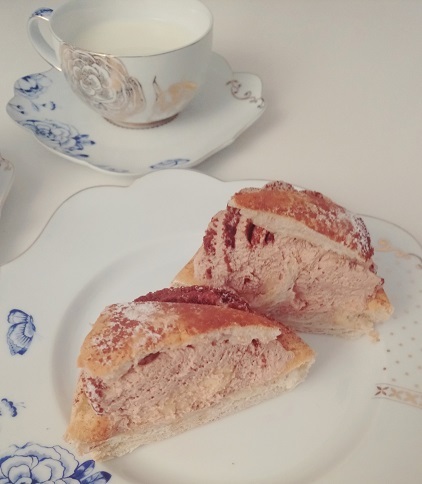 You carve out the insides and then blend the crumbs with almond paste and cream, filling the hole and then topping it off with whipped cream and then the little cap before dusting it in powdered sugar. Admittedly, they are not as beautiful when I make them myself, but they still taste good! I like to add strawberry jam to mine. The bakeries here sell them in February. 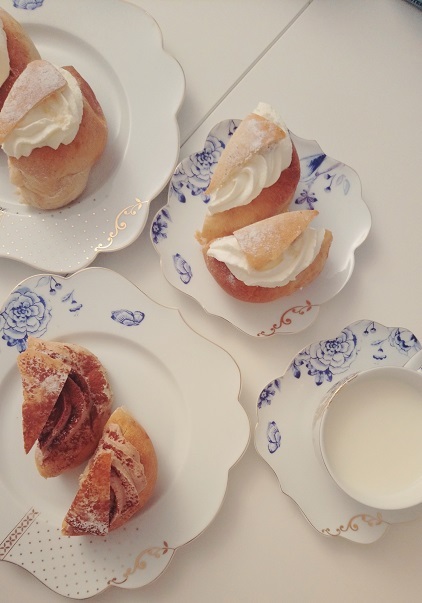 They even have a semla day! 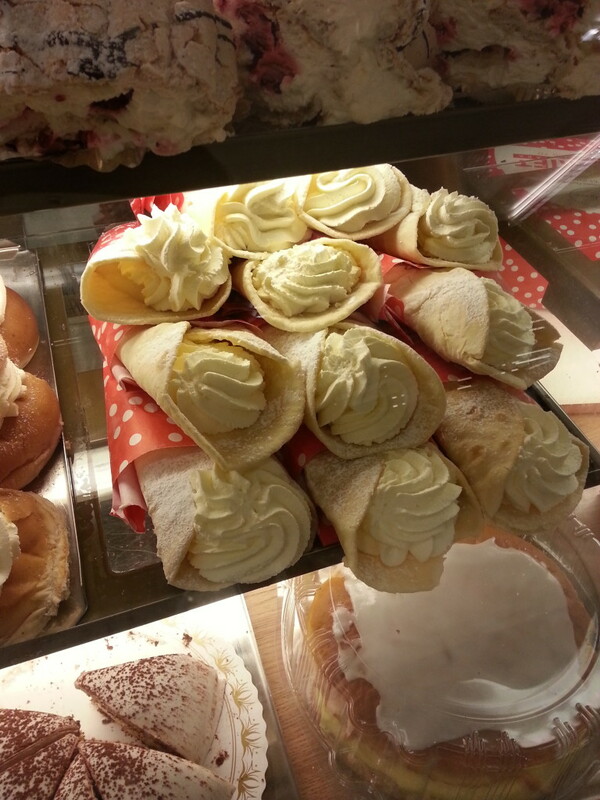 This year someone thought to do a twist on the original and created the semla wrap. It was pretty great. A lot lighter than the classic bun. I’m not sure how common they were across Sweden this season, but we had them in Kiruna! 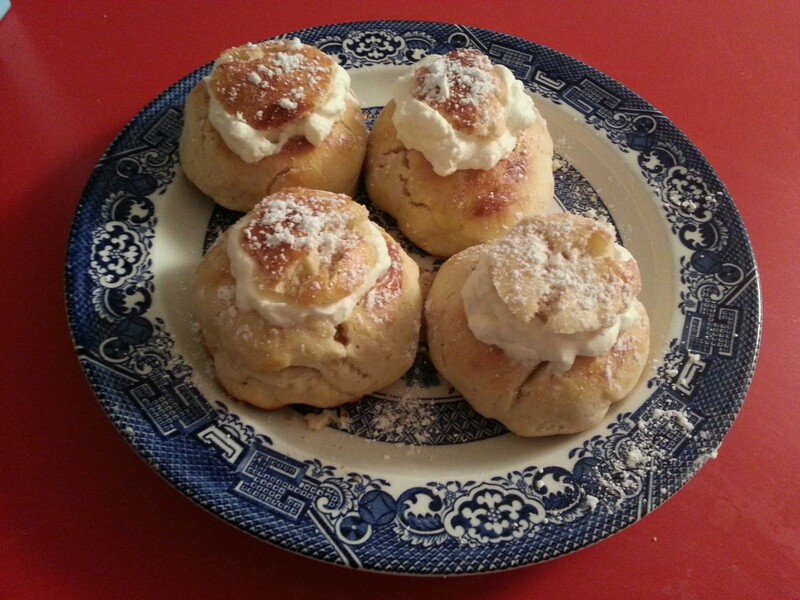 So, if you ever find yourself in Scandinavia in February, try a semla!